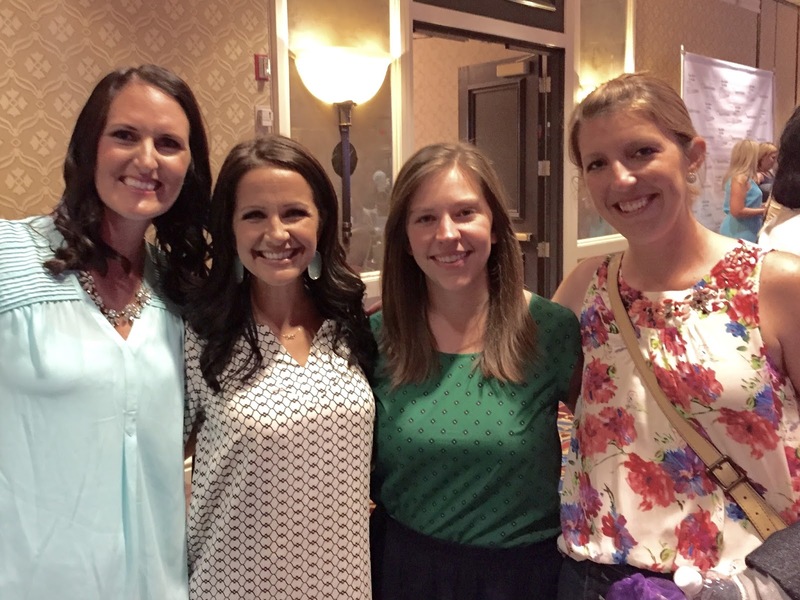 Teacher Pay Teachers 2015 Conference! This past Wednesday I flew to Las Vegas to meet up with some of the most amazing, dedicated, passionate teachers from around the world! I had such a wonderful time seeing old friends and meeting new ones! The Teachers Pay Teachers and teacher blogger community is such a wonderful group of people who are so passionate about teaching! 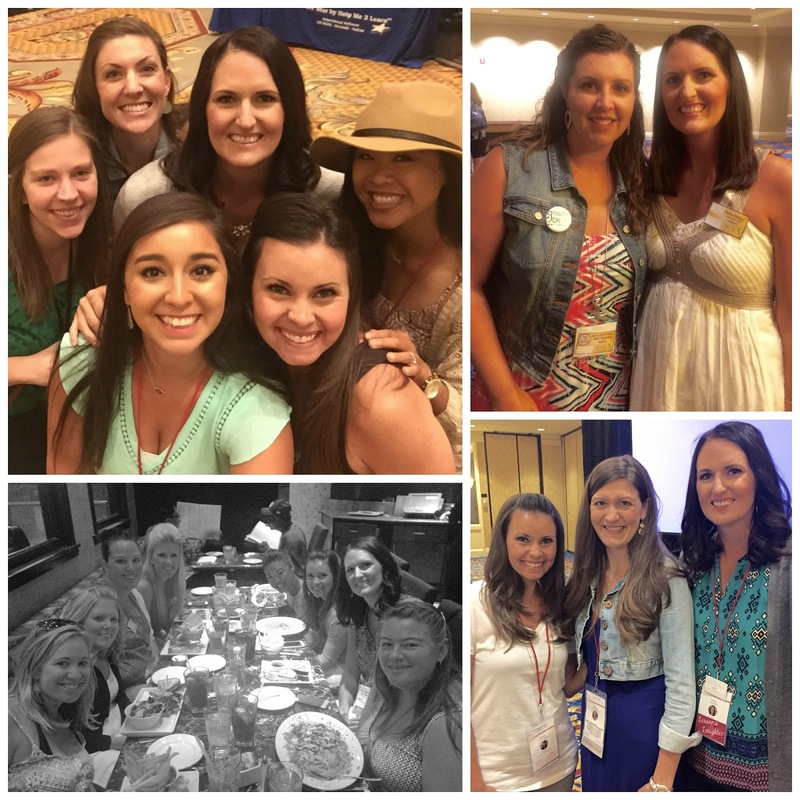 I have made so many wonderful friendships that have come from blogging and TPT. 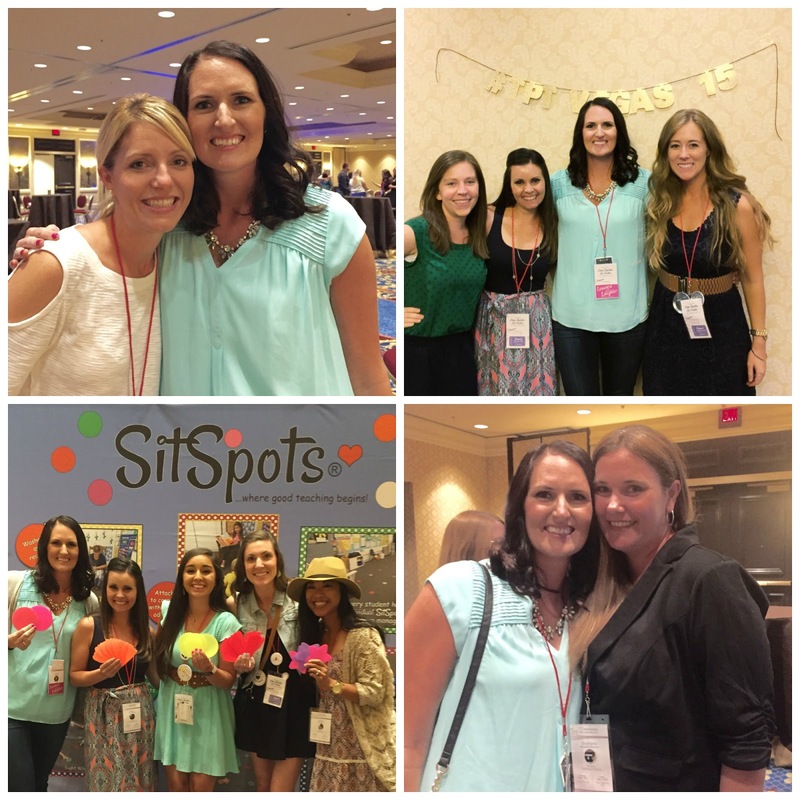 I met Sandy through blogging a few years ago and now she is one of my best friends! 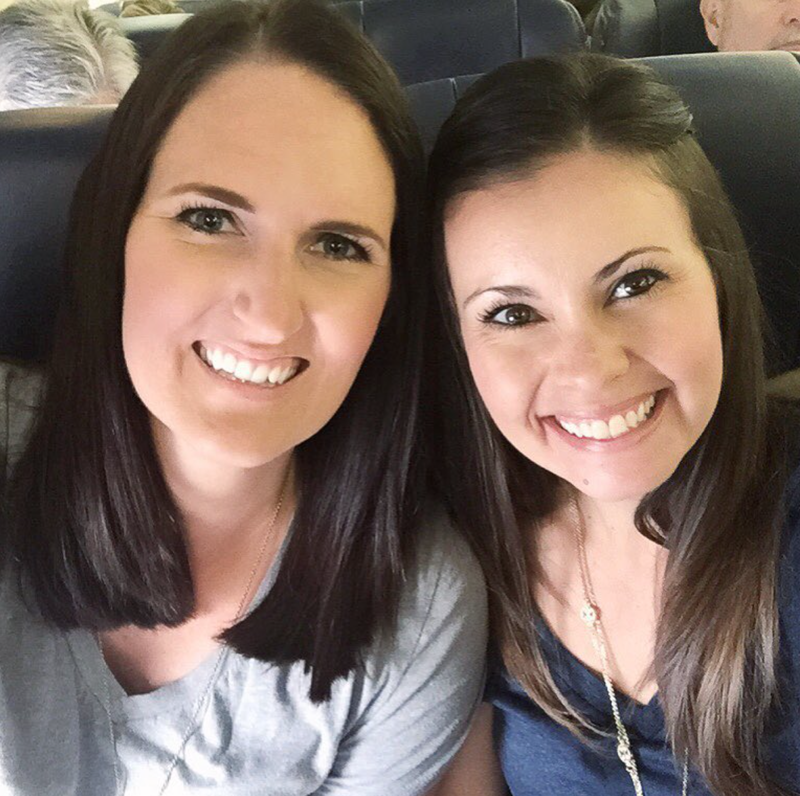 We had so much fun on our flight to Vegas together!! Once we arrived we went straight to the pool! I love the sweet girls I roomed with! Catherine from The Brown Bag Teacher, Sandy from Soaring Through Second, and Nicole from All Things Apple in Second are such amazing friends and teachers and it was fun to share such an inspirational conference experience with them! They are all so incredible and inspiring and I’m pretty sure we talked nonstop the entire three days! That evening was the Teacher Blogger Meet-up! It was so much fun see everyone and incredible to have a group of over 1,000 teachers in one room!! Hope King is one of the first teacher bloggers I ever followed and she has the most amazing classroom ideas!!! In addition to being uber talented, she is also sweet as can be!! Love her and I am hoping to be able to visit with her again at the Ron Clark Academy!! I was also super excited to see some of my favorite upper elementary bloggers who have been a huge support for me since I started teaching! Elizabeth (Funin4b), Tara (4th Grade Frolics), and Kristen (Ladybug’s Teacher Files) are amazing and I feel like I have known them for so long! It was so great to finally meet these sweet friends in real life! I also loved meeting CaseyJane (Wiggling Scholors) who joined us for dinner Wednesday night and Kayla (Top Dog Teaching) who was so fun to chat with! Seriously every single person I met was so sweet and inspiring and so fun to talk and connect with! 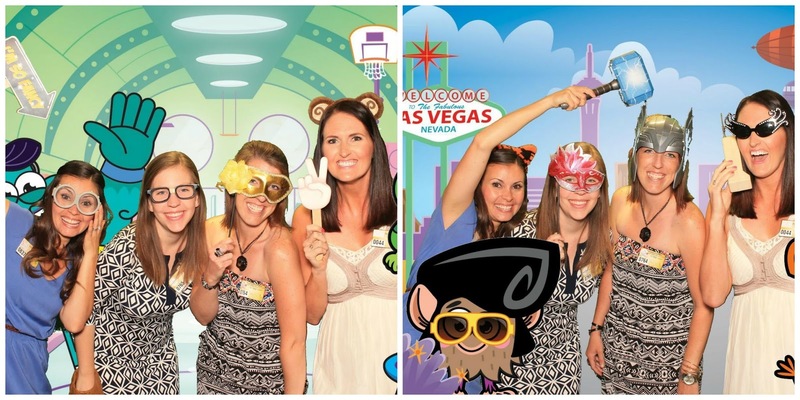 Also, there was an amazing photo booth at the meet-up thanks to GoNoodle! We loved the fun pictures and props! Thursday and Friday were filled with everything from meet-ups to amazing conference sessions, to lunch with some fabulous girls!! If you don’t already follow these girls, make sure to check them out asap! They all have such an amazing positive energy about them! We were all smiles the entire time! I absolutely love Joanne (Head Over Heals for Teaching) and her passion for teaching and anything that sparkles!! I can’t wait to have our classes connect this year! Loved hanging out with these lovely ladies! Of course we also had to get a picture with Paul, who started the whole Teachers Pay Teachers movement!!! We were also so happy to run into Cara towards the end of the evening on Friday!! She is absolutely adorable! 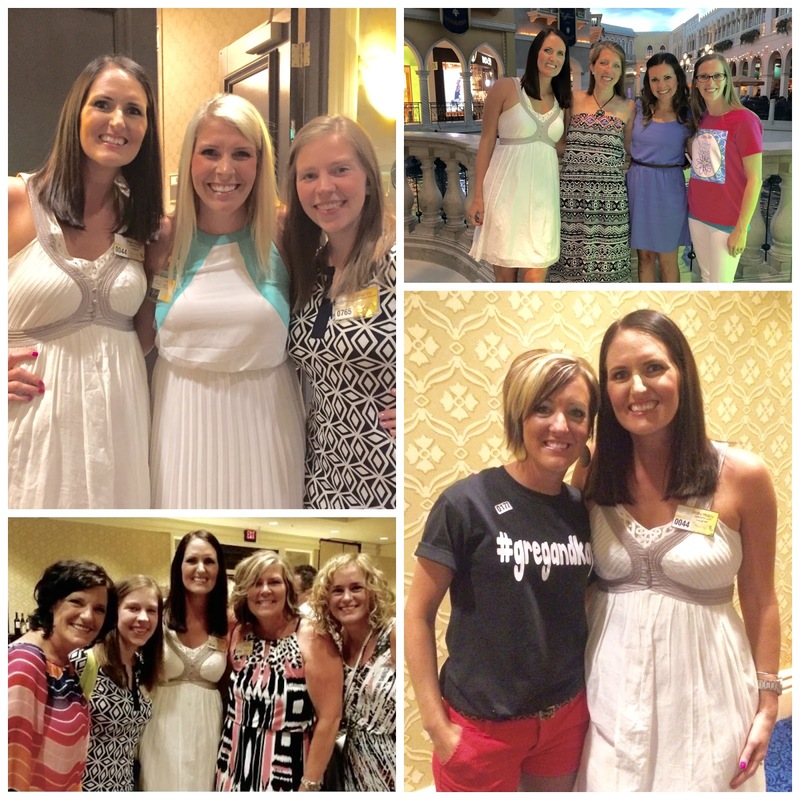 I had so much fun spending the days (and evenings) with so many fabulous teachers!! 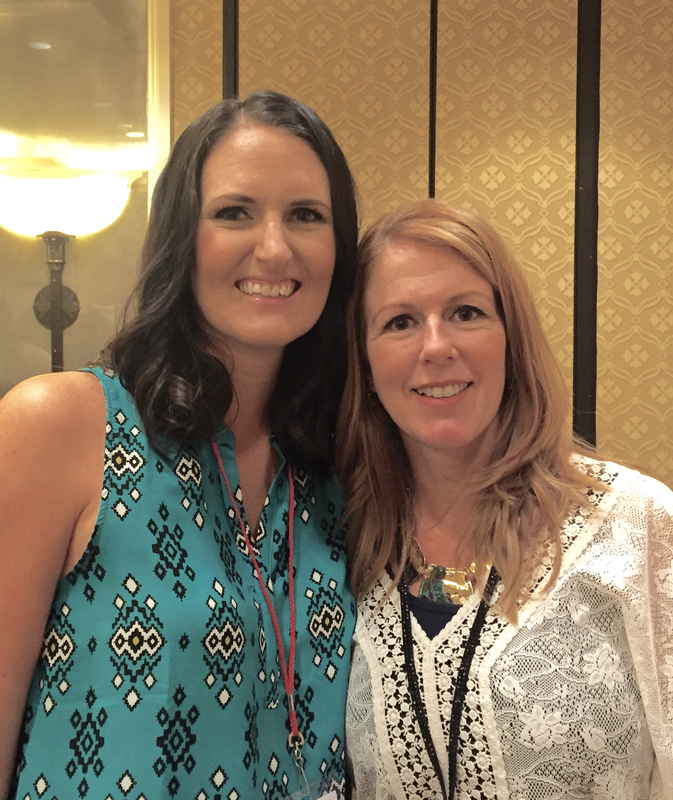 I was so excited to see Kelley (The Teacher Idea Factory) present a session for the second year in a row… she is a hoot! Also, Stephanie (Teaching in Room 6) is another one of my favorite upper elementary teachers!!! It was so great to see her again! If you didn’t get a chance to go to Vegas this year, I would definitely recommend looking into it next year! It is such an incredible experience and I loved being surrounded with other people with the same strong passion for teaching!! I can’t wait to go again next year!! It was so great to finally meet you in person! We will have to hang out more next year! I am so sad that I missed this year, but I of course wanted to attend my friend's wedding in Nashville! I will be attending next year, so I am looking forward to seeing you again next year! Also, I am looking forward to using your trick to making my mailboxes cute with the binder clips and numbers. Thanks for the shout out! 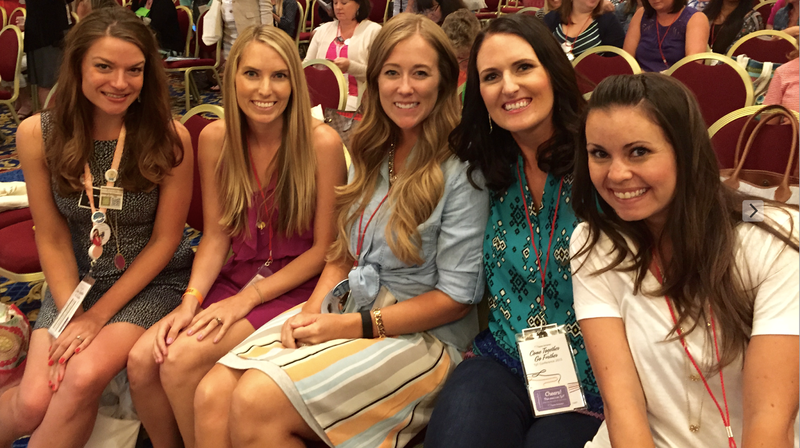 Blogging about Vegas as we speak! I admire your passion for teaching so much. You are such an inspiration. In spring 2015 you came and spoke in my San Diego State ED 200 class and ever since I’ve been following your journey through your blogs. One day when I have my own classroom I really want to start a blog and be involved with TPT. As I am awaiting my credential program acceptances what would you recommend I take the most in during my credential program? 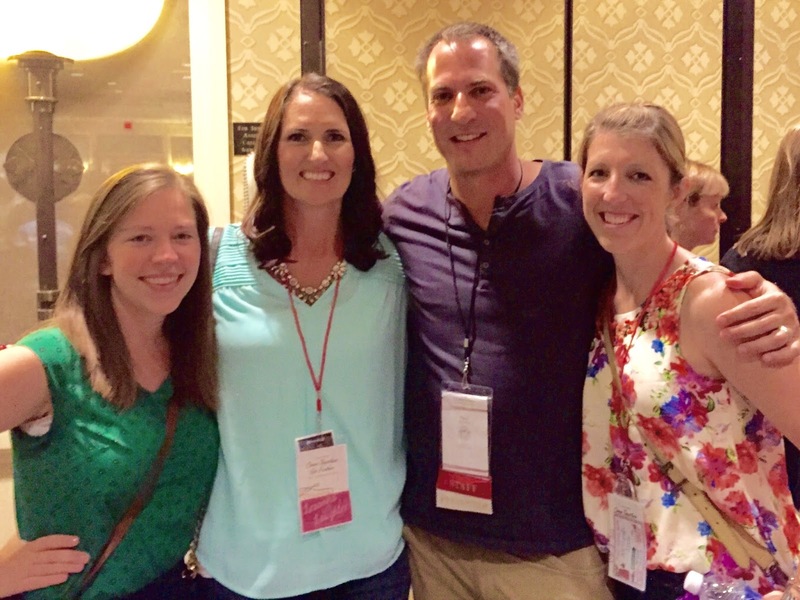 And how did you start your blog and TPT experience? Thank you so much for what you do! Oh my goodness, Kelsi, you just made my day!! Thank you so much for your sweet comment! I just sent you an email! !